Are you a private landowner, property management company or a local/district council? Have you got an illegal Gypsy or Traveller camp on your property? For same-day traveller eviction services, get in touch with the experienced Bailiff Company today! Here at the Bailiff Company, we’re able to evict gypsies and other long-term trespassers. Our experienced team can work within the Common Law, with a Magistrate’s Warrant or Order for Possession. We can carry out all kinds of gypsy evictions, including traveller evictions, from a wide range of properties. Whether you require gypsy removal or squatter evictions from private property, car parks or council properties, get in touch today. Our experienced team of certificated civil enforcement agencies are based in Leeds and can provide gypsy eviction services across the UK. The Bailiff Company’s team is composed of experienced and completely professional enforcement agents who safely and expertly deliver results. Please be aware that, if you are a private landlord, you do not need a court order for possession. If gypsies have set up their camp on your land, you are allowed to evict them and their vehicles. This is all covered under Halsbury’s Laws of England and The Common Law. In addition to their vehicles, these trespassers will also be required to remove any other belongings they might leave behind, including litter and waste. Under the Common Law, this action is also endorsed by the UK Government. If you’re looking for more information on removing gypsies from your land, you can read the Home Office Guidance on the Removal of Illegal Encampments. How Soon Will the Bailiff Company Arrive On-Site? Once instructed by you, we will usually dispatch a Bailiff (a Certificated Civil Enforcement Agent) to your property. Depending on when you’ve contact us, this will be either later that same day, or first thing the following morning. In some cases, our bailiff services will resolve the issue later that same day, or in just a few short days. What Levels of Gypsy Eviction Service Are Available? Here at the Bailiff Company, we provide two levels of service when it comes to gypsy evictions and removals. Whichever removal service you choose, we can help to get gypsies off your land. As part of our standard service our CEA specialists will attend the site (normally on the same day). We will make direct contact with the trespassers and serve gypsy eviction notices. We will also post them around your land in full accordance with Court CPR rules. Our Bailiffs will encourage the gypsies to leave as peacefully as possible. After they’ve been given appropriate time to leave, our bailiffs will also assess the situation on-site and report back. If required, we will then commence with planning the gypsy removal service. If your property’s trespassers have fully evacuated by the following day, our civil enforcement agents will progress with the eviction. As part of our enhanced service, multiple professional bailiffs will arrive on-site to evict the gypsies. We can also arrange for a tow-truck to be on standby where required. Our CEA specialists will serve an eviction notice and give the gypsy, or gypsy community, up to two hours to leave your property. Should they refuse, or deliberately take too long, we will request the attendance of the Police. This will be to prevent a Breach of the Peace. Once the Police attend (if the gypsieshaven’t vacated the site) we will begin to evict them using all available resources. This can include use of the tow-truck to forcibly remove caravans, trailer and other camping equipment. Gypsies will often padlock themselves into a building or compound. It is common for them to attempt to use the Criminal Law Act, 1977, to prevent their eviction. Here at the Bailiff Company, our experienced team have developed a method of obtaining legal access to these sites. From there, we will be able to secure the safe and legal eviction of gypsies, squatters and all manner of trespassers. Where required, we will use relatively forceful techniques to remove unwanted gypsies and trespassers. This can include the use of tow trucks to remove caravans, trailers and mobile homes from your property. All our gypsy eviction requests are dealt with immediately, weather and daylight permitting. Once we arrive on-site, our team will dedicate all our experience, knowledge and resources to removing your property’s trespassers as quickly as possible. Throughout the removals project, we will deliver a completely safe and legal service. We can deliver an unbeatable service to any property in the UK. So, whether you’re looking for gypsy camp removals in England, or individual evictions off your land in Wales, get in touch today. 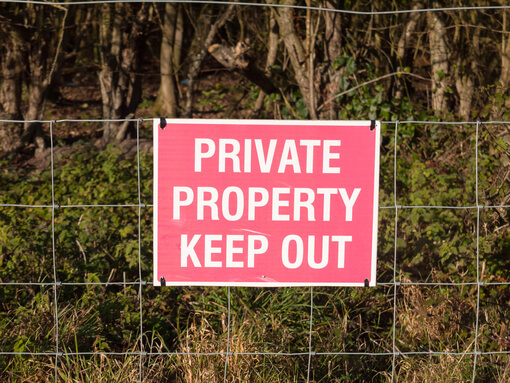 If you’re struggling to deal with trespassers and gypsy encampments on your property, we are here for you. The Bailiff Company will support private landowners, businesses and local/district councils to remove gypsy camps across the UK. If you have a gypsy camp or caravans on your property, call our experienced team today! You can reach our experts directly by calling 0113 418 2817 today. Alternatively, you can email us at enforcement@bailiffcompany.co.uk. All out-of-ours calls will be answered by our professional on-call team.